The two-sides of Gandhi’s political leadership. Mahatma Gandhi’s leadership involved the use of nonviolence or Ahimsa as a political weapon. Did he believe in the use of violent force as a tool of self-Defense? Leadership position gives the man an aura or charisma. Gandhi had earned the title of ‘MAHATMA’, a Great Soul because of his leadership role in India’s Struggle for Independence from British Rule. He inspired a sense of nationalism and I have acknowledged the same in several of my blog posts. He had championed the use of Nonviolence or ‘AHIMSA’ as a political tool and had encouraged people to defend human dignity and human value. However, leadership comes with responsibility. Leadership imposes a heavy burden and a true leader must take responsibility for the consequences of his actions and shortcomings. The principle of nonviolence must be evaluated in the context of defending Human Rights. A man is entitled to his life. A man has the Right to defend himself with whatever force is reasonably necessary against actual or threatened violence. Self-defense is a principle, is a natural instinct, and is a natural Law. Self-defense and Self-preservation may require the use of force or violence to stop the aggressor. It is not a crime to kill an aggressor to defend one’s own life. In a civilized society, the State has a duty to protect the lives of people, and give people the means and the support to exercise their right to self-defense. I have revisited the assassination of Mahatma Gandhi by Nathuram Godse. I had to examine the flip side of his leadership. Gandhi was the unchallenged leader of the Freedom Movement and the Congress Party. His response to British Viceroy Lord Mountbatten’s proposal for partition of British India was highly irresponsible and was not expected of a leader. The Freedom Movement had generated a demand for an Islamic State in all areas where Muslims had a numerical majority. Under the British Rule, Hindus, Muslims, Sikhs, and others had enjoyed a degree of protection and had lived together for centuries. The Freedom Struggle had changed this situation of peaceful coexistence. As the freedom struggle had intensified to end the British Rule, the British stopped paying attention to maintain peace and order within the community. To make their demand for a separate Islamic State, and to consolidate their position on the ground, Muslims had started a program of ethnic intimidation, and of ethnic cleansing to wipe out Hindus living in areas under their control. Hindu properties were looted and burned and Hindus were violently expelled from their homes. Several men, women, and children were brutally killed during vicious mob attacks. The Freedom Movement had unleashed these violent forces and no protection was given to the innocent people who were caught in the middle. In such a situation, the leadership had a moral duty and responsibility to organize and put in place the structures that could defend the community from violent attacks. It was the duty of the Congress Party and its leadership to advocate the use of force as self-defense. If Hindus had not supported the Congress Party and its demand for Freedom, the Movement would not have gained any momentum. There would be no demand for an Islamic State and any Muslim demand for freedom would be rejected and the British would have maintained Law and Order. So, Gandhi as the leader of this Freedom Movement was expected to shoulder a greater responsibility as compared to Muslim League leaders like Mohammad Ali Jinnah. The British proposal for partition of Indian subcontinent had imposed a great burden on Gandhi. His leadership duty would also include defending the rights of Hindus to their lives and to their properties. The dismemberment of British India into two independent nations should not have been agreed upon without demanding the British Viceroy Lord Mountbatten to deploy enough number of troops and make full security arrangements for a peaceful transfer of power. Gandhi as the leader of the Movement must have personally checked and satisfied himself that the British Government had enough resources to protect people. He must have consulted with the Congress Party Working Committee to make arrangements for self-defense in addition to the security measures if any taken by the British rulers. Gandhi had no vested authority or power to concede the demand for India’s Partition. He must have involved all the rank and file of the Congress Party in that decision-making process. In any case, Gandhi must have delayed Independence until arrangements for maintenance of Law and Order were finalized. The tragic consequences of Partition of India fully expose the failure of Gandhi’s leadership. He had utterly failed to visualize the importance of using violent force to defend the Right to Life. Gandhi’s flippant attitude had contributed to the loss of millions of innocent lives. Mahatma Gandhi or Jawahar Lal Nehru had no vested authority or power to concede the demand for partition of British ruled India. At a minimum, the decision process must have involved the entire rank and file of the Indian National Congress Party. Mohammad Ali Jinnah, Qaid-e-Azam, the great leader of Muslims paved the way for the Partition of British India. What is the human cost for this achievement? The British Indian Empire in 1909. The Rulers and the leaders of the Freedom Movement had failed the people of this ancient Land. India and Pakistan. The Partition of Indian Subcontinent is the worst man-made disaster in the entire human history. A group photo of failed leaders. British Viceroy Lord Mountbatten, Lord Ismay, Nehru, and Jinnah got together in Delhi on August 03, 1947 to announce the agreement for partition of British ruled Indian Empire. In this photo taken at midnight, the early hour of August 15, 1947, the transfer of power from Great Britain to India appears to be very orderly and peaceful. Both sides had failed miserably in their leadership qualities as an unspeakable human tragedy overshadowed this historical moment. Sikh and Hindu refugees flow into the Indian side of Punjab after the partition of British India. This ethnic cleansing of monumental proportions had involved over 14.5 million people moving in opposite directions. A refugee train on its way to Punjab, India. Trains had arrived during the partition time with dead passengers and no survivors. The leaders of Great Britain, India, and Pakistan must be criminally tried for genocide for their rash and reckless behavior that had devastating consequences in terms of human pain and suffering. Nathuram Godse shot and killed Mahatma Gandhi on January 30, 1948. This act of violence has forced me to examine the issue of using violent force in taking life and also as self-Defense. The Assassination of Mahatma Gandhi – This violent act has no purpose but it compels people to evaluate his leadership. The advocate of Nonviolence must have relied upon the use of violent power to defend the lives and properties of defenseless people. A group photo of people accused in Gandhi’s murder case. Standing: Shankar Kistaiya, Gopal Godse(brother of Nathuram Godse, the main accused), Madanlal Pahwa(a refugee, who had earlier agreed to return to Lahore in the company of Gandhi), and Digambar Badge( the approver who had assisted the prosecutor). Sitting: Narayan Apte, Vinayak D Savarkar, Nathuram Godse( the sole attacker), and Vishnu Karkare. Nathuram Godse spent five hours reading out a 90-page treatise justifying his decision to murder Gandhi. Judge Khosla who had presided over the trial mentioned before awarding the death sentence; “If the people sitting in the Court had been on the Jury, they would have acquitted Nathuram.” Godse had believed that Gandhi was the aggressor and Godse had acted to defend defenseless Hindus. Who was the aggressor? Who would take responsibility for the killing of millions of people? The Martyr Column – Gandhi’s assassination site in New Delhi. Who has the duty to defend the defenseless? If Mahatma Gandhi had advocated the use of violent force to protect people and their properties, he could have saved his own life. Unfortunately, the bullet that had hit Gandhi has forced us to inspect the darker side of his leadership. Self-defense is a Right, it is a Duty, and it does not qualify as violence even when it involves killing the aggressor. I am not opposed to the idea of using nonviolence as a political weapon in the fight for India’s Freedom. The question that I would ask is; What is the idea of Independence if people are not given the opportunity to experience it??? MAY HIS SOUL REST IN PEACE -Rajghat, New Delhi, the site of Gandhi’s cremation. India has a Right to Self-Defense and Indian leadership may have to use force to defend India’s hard-earned Freedom. Sri Aurobindo has asked us to remember the two sentences of this well-known aphorism: “Ahimsa paramo dharmah; Dharma himsa tathaiva cha”-Non-violence or Ahimsa is the highest principle, and so is Violence or Himsa in defense of the righteous. The method of absolute non-violence that was followed during the ‘Satyagraha’ movement should be questioned. It led to the breaking of skulls and a great deal of suffering for the freedom fighters. Two questions arise in the context of the use of non-violence: 1. Was it right and healthy for the nation to go through this kind of non-violence? and 2. Does Indian culture and spirituality enjoin this kind of non-violence? Saint Samarth Ramdas and Warrior King Shivaji are the two aspects of the leadership equation. gandhi des tatha world ka sab se bekar nich(neech) aadmi tha. Thanks for visiting my blog post and sharing your comment. We must be careful with the words that we choose. We need to carefully describe the things that we like or dislike. The greatness of Mahatma Gandhi is well recognized. I have ventured to describe the second face of the same coin. Thanks for visiting this blog post and sharing your comment. Kindly find time to explore the other side of the same coin. I shared my personal experience at another post titled ‘Defining Indian Identity – The Tradition of Ahimsa’. I would like to suggest to you to read this post before being sure about the fakeness. I just wrote an article quoting Gopal Godse, the brother of Nathuram Godse. You can find it here: Why Godse killed Gandhi ? Gandhi was a hypocrite. He did nothing to ptotect the Hindus from the Muslims. He couldn’t stop the partition. although today I think partition was good for Hindus. Today we find that nobody is following ahimsa, nobody ever did. The Congress people used Gandhi for there own benefit. I read an article in Economics times on a Survey: Who is the greatest Indian ? The result showed that – VB Patel, Subhash Chandra Bose and Bhagat Singh were the top 3. Gandhi & Nehru got the least number of votes – 2% of the total. So it’s clear that gandhi was just a delusional fool. Also our current generation is fooled in thinking that Gandhi fought & got us independence. We got independence because India sent the highest number of soldiers to Europe. Also the victory of Labour party in England and her poor economy played an important part. Thanks for sharing your post. I can understand your sense of bitterness about Mahatma Gandhi’s role. I have described the two sides of his leadership. I would not use terms like fool to degrade the Mahatma. He is Mahatma because he inspires a sense of Nationalism and National Pride. He is Mahatma because he could bring Hindus together and gave a sense of Unity and Purpose. It is a very difficult task; it is a challenging task. I was inspired by a sense of Nationalism and had joined the Indian Army to serve the Nation. I was chased out of my job and career in Indian Army; not by the Enemy, but my own people. Kindly tell me as to who can bring Unity in our Country and specially among Hindus of our Country known as the Land of Bharat. What brings people together ? Respect for each other, love for their motherland and a desire to die for her. We learn nothing in schools. Today’s generation make their ideas about life & religion from Bollywood not what they read. To bring the Hindus together you should start teaching them why it’s better than Islam, tell them about Islamic history of India, about the genocide of 100 million Hindus by Muslims. Show them pics of Hindus in Bangladesh & Pakistan . Instead of making them craming parrots make them Analysts. Let them judge their environment from their own eyes. Don’t waste time on adults who don’t along with you . They are lost souls, work on the children if you want to make our future better. If someone wants to come along with you take him, if not leave leave him-these were the words of V.D.Savarkar..
Talk about politics at home more often, politics is everything, Islam is politics. They are really good patriotic books. As for the Mahatma, I think you have missed the point of Gopal Godse. he manipulated the media to make his “saint” like image in public. that’s how it works. Thanks for that post. You seem to recognize the value and role played by some role models. I appreciate Gandhi and Nehru as role models as they have shown love for their country, have endured hardships, and have displayed a sense of dedication and a National Spirit. To the same extent, we also admire Netaji as a role model even if his tactics are different. While I was in Medical School, I had a small pocket edition of The Bhagavad Gita published by Gorakhpur and I used to read a few Chapters everyday. It had the verses in Sanskrit and a short translation of the verses in English language and the reader has to interpret the meaning of the verses directly and the author has simply conveyed the verses. Do you live or work in Uttar Pradesh? Thanks for posting rare photos with rational views. 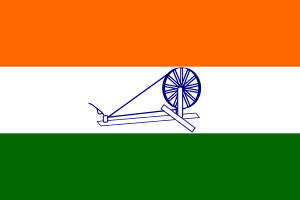 There is a politically motivated movement in Andhra Pradesh for creation of new state. As evident by previous divisions of other states in the country the newer state will hardly sustain and only create white collars. Sir we need the policy change. All citizens should get the govt employment so that nobody feels neglected and can draw pride in contribution towards nation building. Free education, free health service and caste less society (do not mention caste anywhere) is important. Reservation policy is hindering the development of real poor and meritorious people. If education is free, health service is free and everyone has govt job then hardly anyone need reservation. Govt of India is totally corrupt now a days and because of its policies Indians are worried to meet their both hands specially rural people. And change can be brought by rural Indians as urban one hardly find time in invoking nation building thoughts and actions because of turbulences in their lives. 1. From childhood days Indian map which has shown to students in the primary books find distorted when he/she grows up and feel panicky. 2. Why we can not change the name of the country Bharat? everyone demands their own state and names but no one think of the nation. 3. Privatization in education is bringing again slavery back in this country if not physical its mental. 4. If I am in debt at family level we hardly get sound sleep but the our nation has so much debt then how the future of the country will be secure? How the leaders of the country feel pride to borrow money? 5. Farmers are being neglected. And all cultural values are degrading due to attack of foreign culture through movies and other medias. 6. Again the media is showing international news more often and do not project what is happening to your neighboring state. May god gives us power to suceed in the tests. Thank you Sachin for sharing your comment and your concern to promote National Unity. If you get a chance, review my blog post titled ‘Identity, and Individuality’. We need to have clear understanding about man’s identity and as to how it is established in the human organism. My concern is not about Caste system. Man’s actions are mediated by the influence called Sattva, Rajas, and Tamas, the three gunas or modes of conduct. The guna called Sattva or goodness is important in the context of promoting well-being and National Unity. There is a lot of Passion in the drive for creation of a separate state called Telangana, and we should be aware of the consequences from acting under the influence of Rajo Guna or passion. Fantastic photos; continue your good job. and name. Shame to them. Look what happened to Kashmir. They should have liston to Mr Patel. Thanks for visiting the blog post and sharing your comment. We need to understand the gravity of this historical genocide and it is indeed sad to note that proper precautions were not taken to prevent it. fantastic article. worth communicating the hypocracy to the world. Thanks for visiting my blog post. We cannot forget the past. Millions of innocent people perished because of their religion. I still respect our leaders and yet we need to admit our pain. Out of pure intuition, typed only – “gandhi del ” on google. And google completed it – delayed indian independence. My suspicion and doubt confirmed true. Had chauri chaura happened on weekly basis, we would have been free sooner. Thanks for visiting the blog post and sharing your view. My concern is about innocent lives that perished during our Independence Movement. My idea is not that of encouraging the killing of civilians to achieve freedom without dealy. Thanks sir, for your post. I wonder what is the fun behind declaring Bharath as secular, once it is decided to divide the nation on the basis of religion. Thanks for visiting my blog post. Even in the Indian tradition, there are several Schools of Thought and hence it would be difficult to define “Common Good” and distinguish from “Individual Good.” The idea of ‘secular’ is that of providing “good” governance to all people without using a particular religious doctrine. The ruler, the King or an elected official must always rule for the good of all people and not of some people. The reality of secular politics could be entirely different. Gandhi’s ideology was not only senseless, but without science…..It will be crime to identify him as a saint–mahatma…..He and his ideology is absolutely foolish as it fail human mind to grasp anything of importance to human life…..Islam has same element of self destruction. What type of unity we need ? no brother hood, we need universal unity. Gandhi has leave no space to understand what Ved-Vedant meant is Universal principle of Individual right to life, right to science….etc. Better late then never….we must oppose Gandhi’s era as a Dark age, like Christian era is regarded by Westerner as Dark age…….so our era characterised by ascetic thought….such are religious thought, had create Gandhi type characters. Thanks for sharing your concern about Gandhi’s leadership qualities. He was elevated to that position of great esteem called ‘Mahatma’ by ordinary folks of India. My concern is not about showing respect to Mahatma. My concern is about showing respect to people who through their actions created this aura of leadership. People were not coerced to make their choice. If people are innocent, naive, and gullible, I cherish and value their simplicity. Their charming innocence motivated me to serve in Indian Army to defend their sense of innocence. It is precious.